From left to right, myself, Mark KG6NYO, Crist and Al. 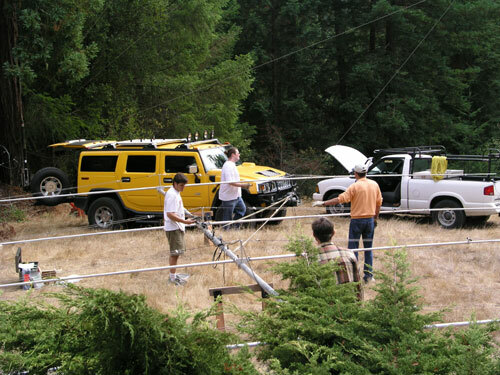 The sling on the antenna goes to a gin pole at the top of the tower, pulled by the Hummer's winch. 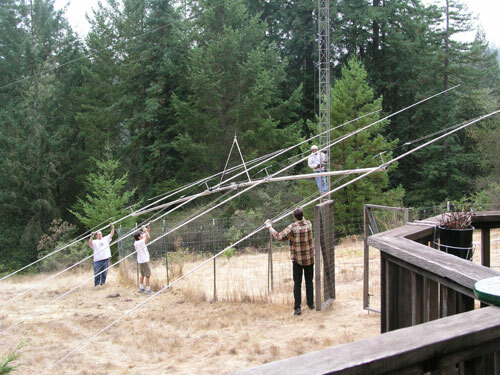 We've guided the antenna up over the deer fence and are ready to lift! Almost at the top! That's Bob K6QXY climbing. If you are wondering about the linear loading hanging BELOW the elements...oops! 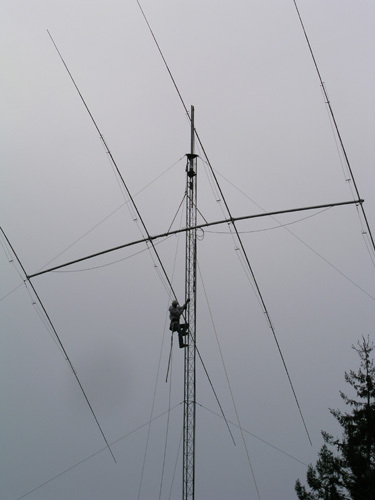 Bob constructed a clamp to go around the boom with a lever so he could rotate the antenna upright. It was not as easy as that sounds, but it did finally make it to the correct position.